I think you will be very impressed with this fan club and all of the good work they do trying to keep the memory of Elvis Presley alive and well. FIESA is a mega exhibition of sand sculptures held in Portugal in Pêra (Algarve) every year. Each new edition is dedicated to a different theme. Idols are the theme of this year, a tribute to various characters admired and praised by our society. Carved in sand visitors will find icons of sports, from the movies, from music, fashion, politics and religion. 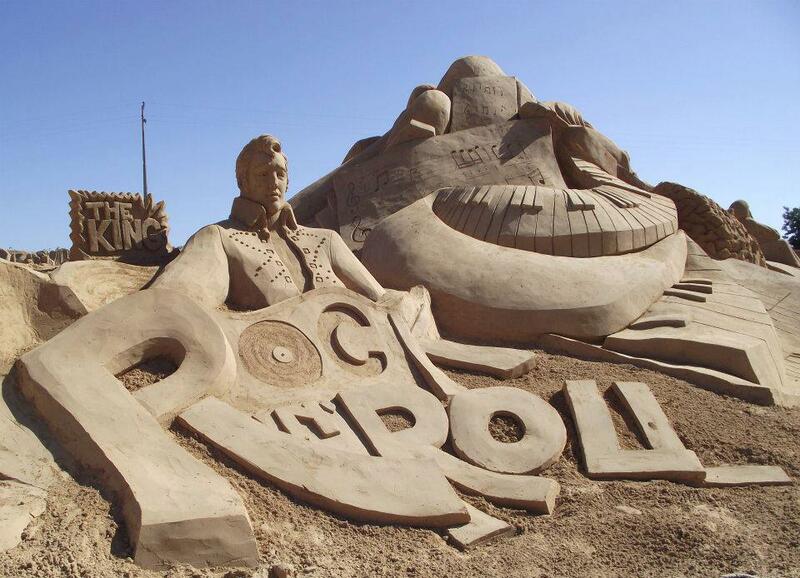 This year visitors can find an Elvis sand sculpture in the exhibition which will be open until October 25th.